Dr. Donald Cadle has been providing patients in New Port Richey, FL, with excellent dental care for over 40 years. He takes great pride in the beautiful office he built when he moved to New Port Richey in 1972, and in the high quality of care he offers our patients. He considers our patients family, and goes out of his way to treat them that way. The doctor loves helping patients preserve their teeth, and his years of experience help him to advise them when it comes time for restorative or cosmetic treatments. Dr. Cadle graduated from the University of Louisville School of Dentistry in 1971, and continues to celebrate his school pride with bricks from the school inlaid in his office. He has practiced dentistry in New Port Richey since 1972, serving the community and surrounding areas. The doctor has attended hundreds of hours of continuing education throughout his career, and has seen much change in the field of dentistry in that time. In 1983, Dr. Cadle became the first doctor in the local area to place bonded restorations on his patients’ posterior teeth. Also in 1983, the doctor placed his last silver filling, choosing instead to work with composite resin, which provides not only structural support, but also natural-looking esthetics. 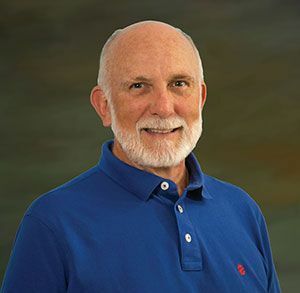 Since graduating in 1971, Dr. Cadle has worked tirelessly, honing his skills in the areas of cosmetic dentistry, restorative dentistry, and prosthetic dentistry. Since graduating in 1971, Dr. Cadle has worked tirelessly, honing his skills in the areas of cosmetic dentistry, restorative dentistry, and prosthetic dentistry. Along the way, the doctor has maintained memberships in several prestigious dental organizations, even presiding over a few of them. The doctor has spent time as president of the West Pasco Dental Association, the West Coast District Dental Association, and the Florida Dental Association. He also presided as chairman of the Florida State Board of Dentistry, and has held many positions with the American Dental Association, including serving as an ADA trustee representing the 17th district, which comprises the entire state of Florida. Dr. Cadle has also served as a past chairman of the Council on Ethics, the International College of Dentists, and the Pierre Fauchard Academy. Dr. Cadle focuses first on preventive dentistry, choosing to help patients avoid expensive procedures down the road. He offers our patients cancer screenings, professional cleanings, and periodontal scans. This focus allows him to diagnose problems in their earliest stages so patients can receive the care they require before suffering severe damage or discomfort. For patients whose problems have reached advanced stages, the doctor offers a wide variety of cosmetic and restorative services. The doctor has relationships with several revered specialists in the area, and can refer patients needing specialized care, like the placement of dental implants, to these doctors if needed. The doctor also has a great relationship with the dental lab he uses for the fabrication of restorations, having worked with them for most of his career. When not helping patients keep their smiles healthy and clean, Dr. Cadle enjoys spending time in nature. An avid hunter, skier, and fisherman, the doctor also enjoys spending time at his tree farm in North Florida, where he grows organic fruits and vegetables. He enjoys serving the community of New Port Richey, as a member and past president of the Rotary Club and serving on the Land Development Review Committee. Dr. Cadle also participated in the fundraiser for the police department’s T3 mobile unit. Most of all, Dr. Cadle enjoys spending time with his wife and sons and his lovely granddaughters. Trust your care to a leading Florida dentist. If you would like to benefit from Dr. Cadle’s years of experience, contact us to schedule your appointment.